We all love things that are crispy and crunchy, but don’t always want (or have the tools) to in indulge in deep-fried foods. 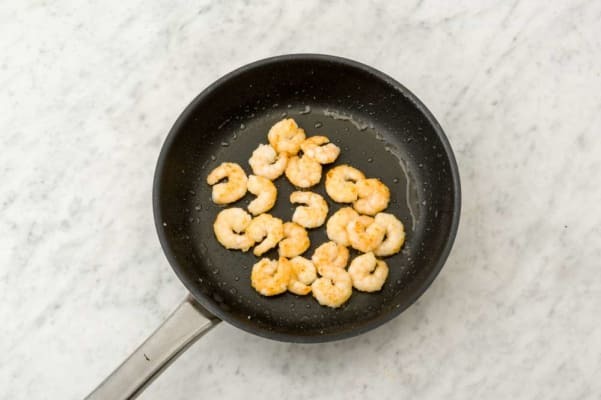 Here’s a workaround that’ll keep everyone satisfied on both ends: we’re dredging shrimp in cornstarch before giving them a light sizzle in the pan. 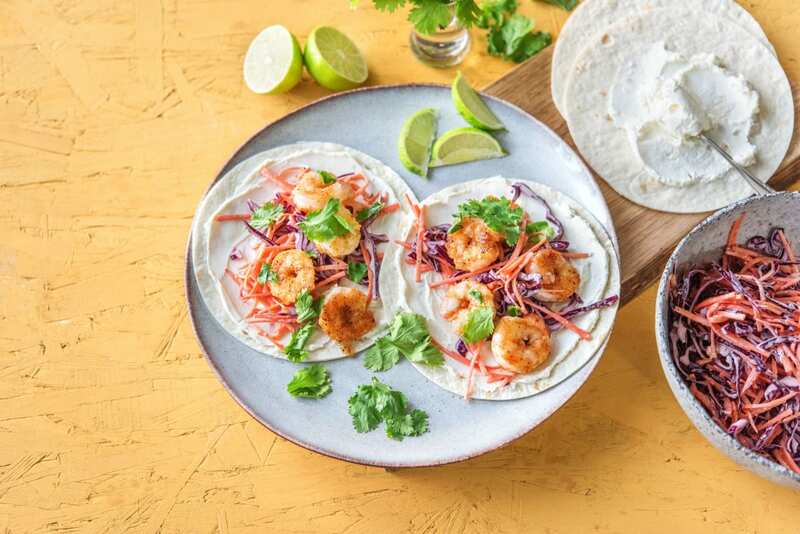 Served with a snappy red cabbage slaw inside warm tortillas, these tacos pack plenty of crunch as you munch, plus lots of tangy favor, too! Wash and dry all produce. 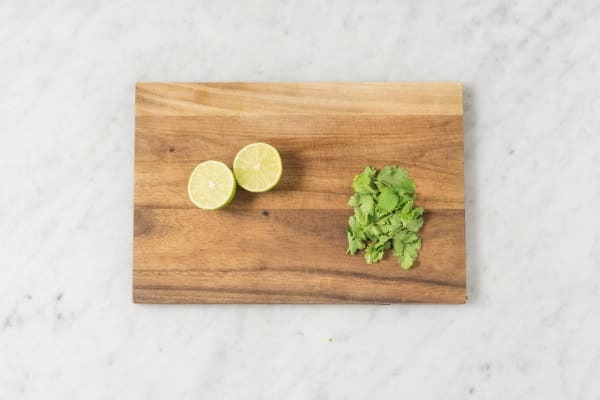 Pick cilantro leaves from stems and discard stems. Halve lime. 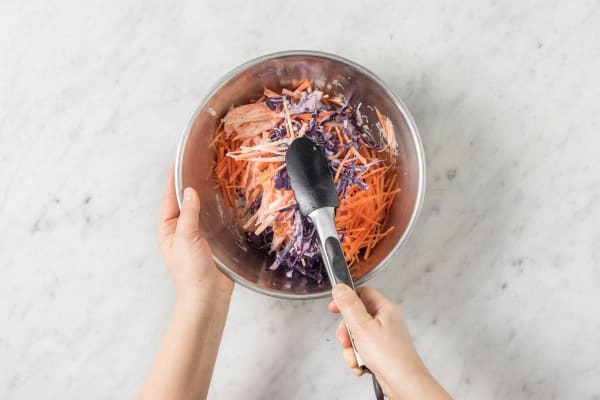 Toss red cabbage, carrots, 2 TBSP mayonnaise, 1 TBSP Colavita white wine vinegar, 1 tsp blackening spice, juice of half a lime, and 1 tsp sugar in a medium bowl. Season with salt and pepper. 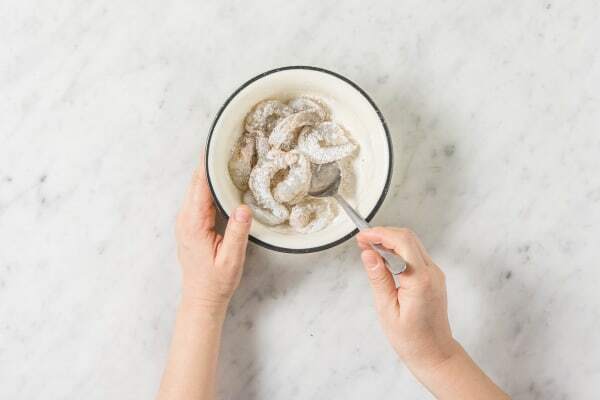 In another medium bowl, toss shrimp with cornstarch, remaining blackening spice, and a pinch of salt and pepper. Heat a large drizzle of oil in a large pan over high heat. Add shrimp and cook until opaque in the center and golden and crusty on the outside, about 2 minutes per side. 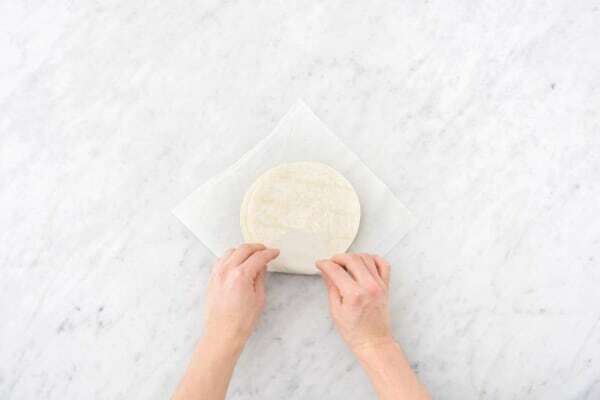 Wrap tortillas in a damp paper towel and microwave on high 30 seconds. 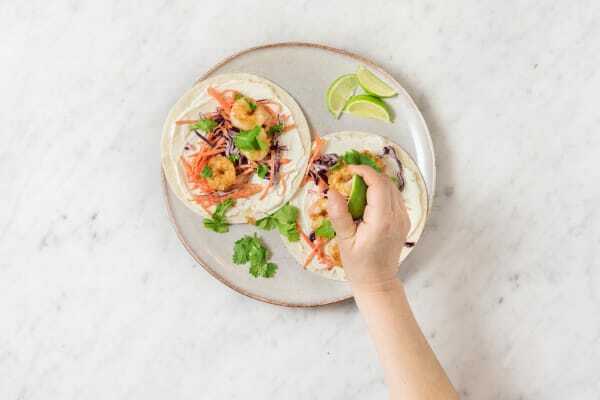 Fill each tortilla with sour cream, slaw, shrimp, and cilantro leaves. Squeeze lime juice over each and serve.